The neighbors might look at you funny for crawling around on the lawn taking pictures of weeds and bees. This guy is much more paranoid. And vocal. And aggressive. I wondered if all the attention we were getting wasn’t due to the one that started living on the front porch for a few days. I figured it had to have been sick or injured or afraid of flying and I always wondered what happened to it. We never found a bunch of feathers in the yard or on the porch, so if it went off and got eaten by a cat or coyote or hawk, it did it in someone else’s yard. 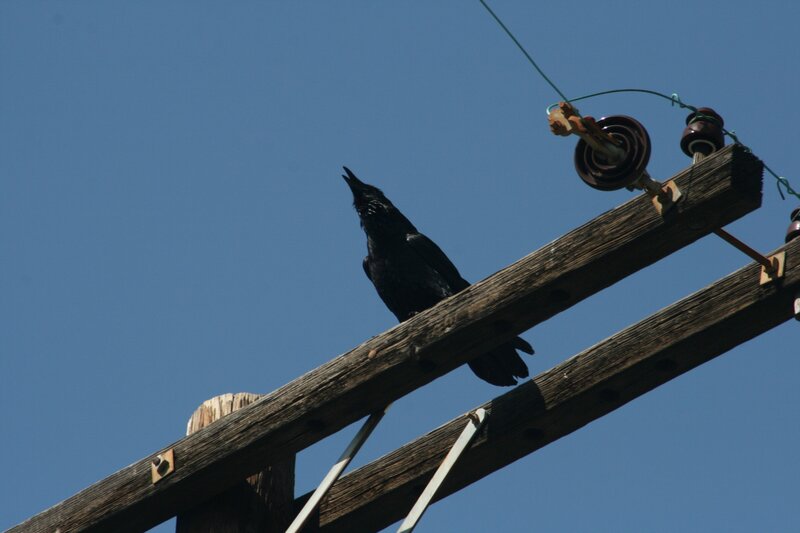 After Edgar (the sick/injured/psychotic crow on the porch) disappeared, within a week or two the crows disappeared as well. At least, the ones from the nest in the palm tree across the street that were harassing us. 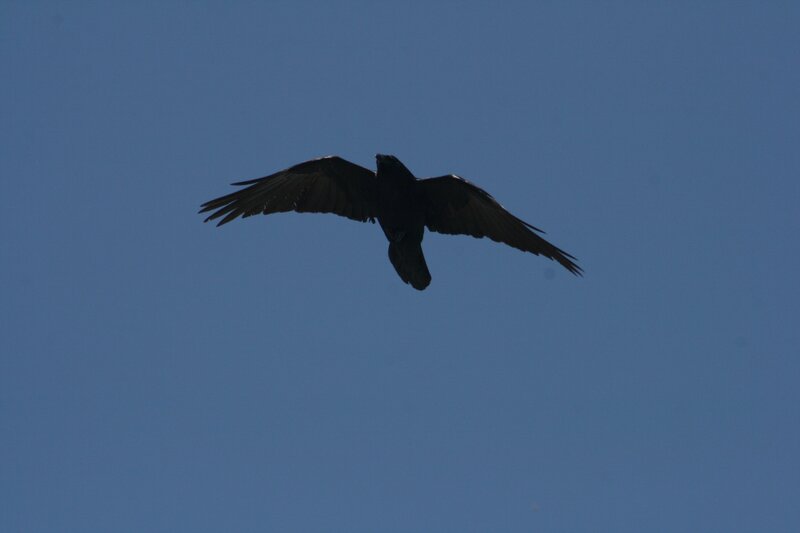 There are still plenty of crows around all over – but OUR crows were noticeably absent. Until about two weeks ago. Now they seem to be back, or at least a similar group with similar habits. 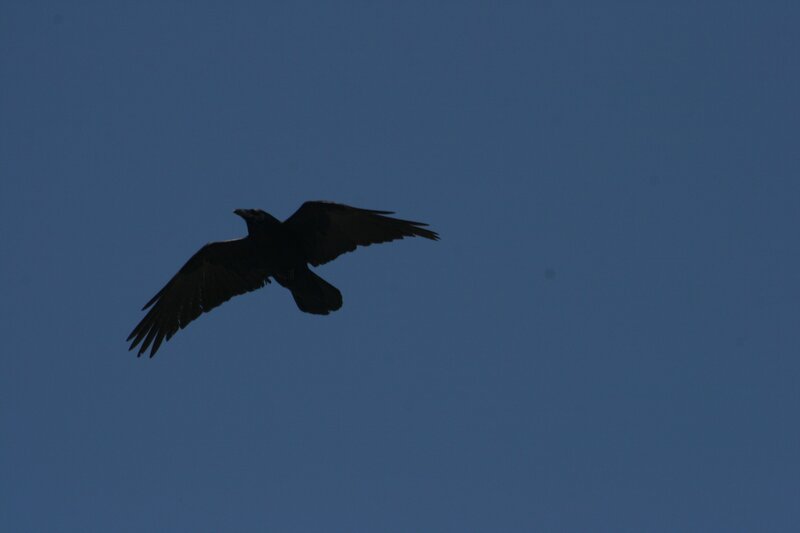 Do crows have a pattern of migrations over an area throughout the year? Our baseline is a little small on this data sample, but at least at first glance it seems possible. 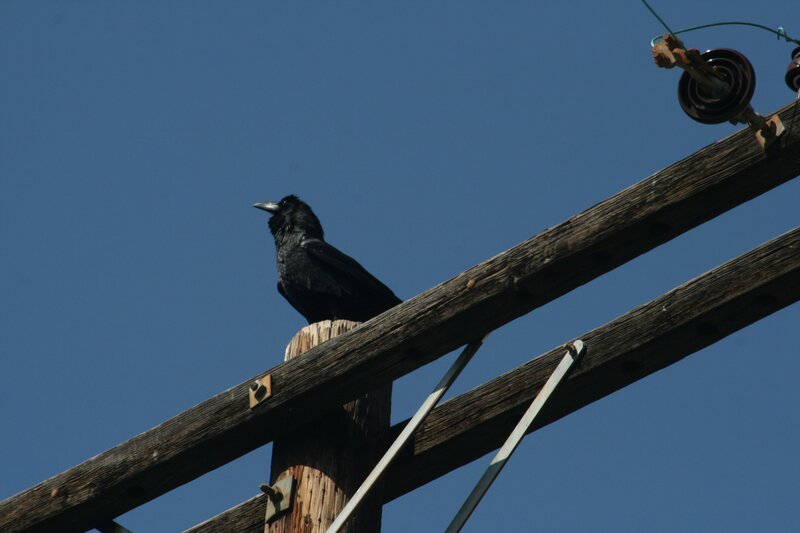 The telephone pole by the driveway is their favorite perch. It gives them a good spot to see and be seen, and to squawk at great volume and with splendid agitation. I’m glad that I gave them something to feel threatened by, I guess.